I think we could all use a little extra energy, right? Well these energy bites are going to hit the spot just right! 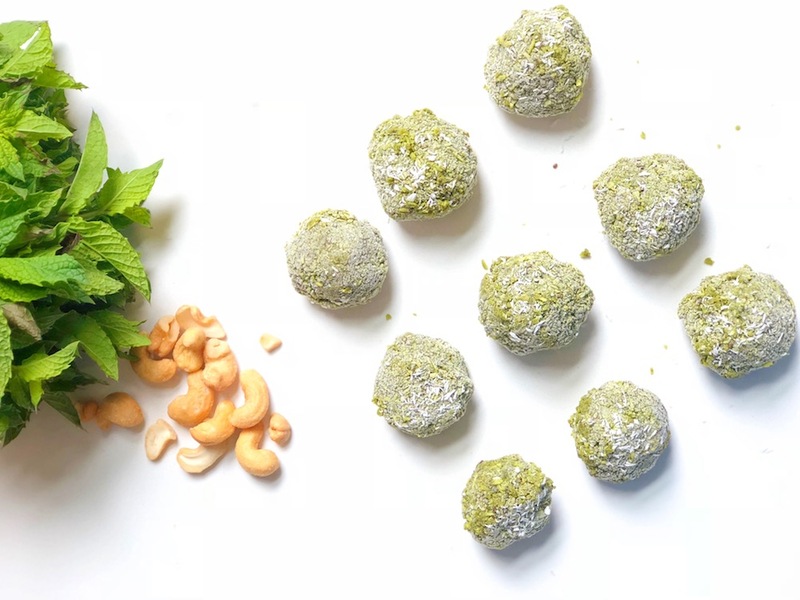 Made by our wonderful intern, Kathleen, these matcha bites are delicious, easy to make and loaded with a bunch of good stuff. These matcha balls are made with matcha (duh)- the whole ground leaf-form of green tea. Matcha contains anti-oxidants and anti-inflammatory properties; if you’re caffeine-free, you’ll want to skip this ingredient in these cute little balls. Try these matcha bites as a quick pick-me-up, or as part of your breakfast (pair with eggs and fruit!). If you try any variations of this recipe, let us know, we’re all ears! Combine all ingredients in the food processor (or in our case, the vitamix!). Blend the ingredients in the food processor until the consistency is textured- not totally smoot. Remove the batter from the blender. Roll into about 1” balls. Store the balls in the fridge.